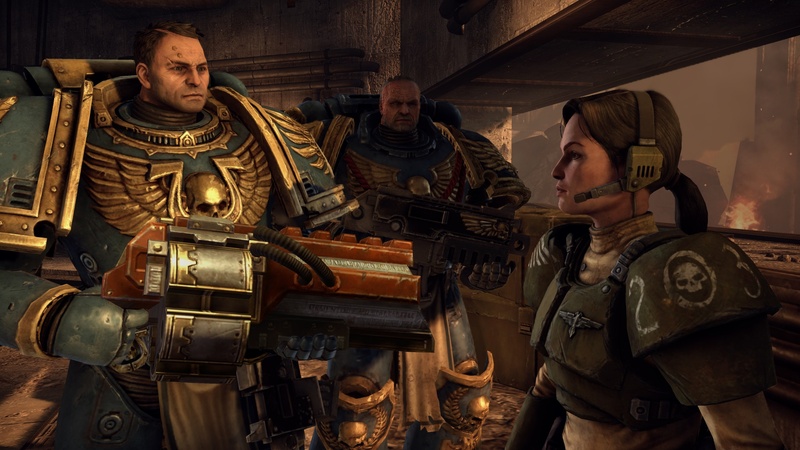 Despite the subtitle "Space Marine," the latest Warhammer title isn't the Gears of War clone you think it to be. As a fan of Relic's real-time strategy entries in the series, I was surprised as anyone to hear their latest title would be a third-person shooter in the Warhammer 40k universe. It's a relief then to discover it's a fun and functional shooter that embraces quicker, short-range combat in contrast to its contemporaries. 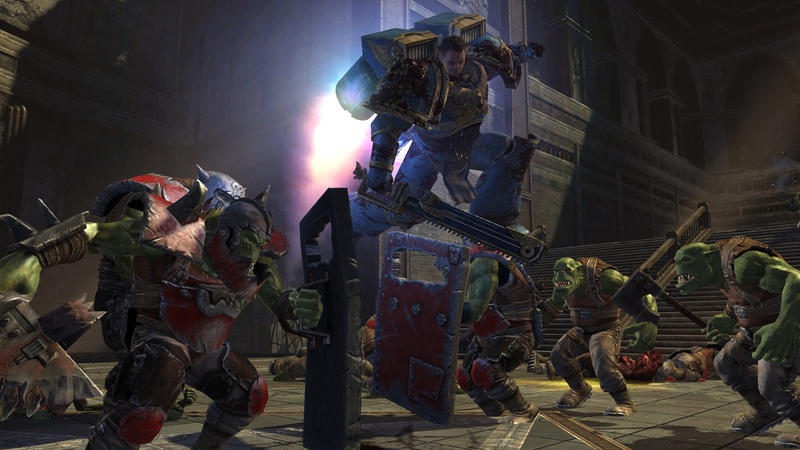 Space Marine encourages players to charge into hordes of orks, to the extent that the game doesn't include a cover system. "Hordes" isn't an exaggeration. 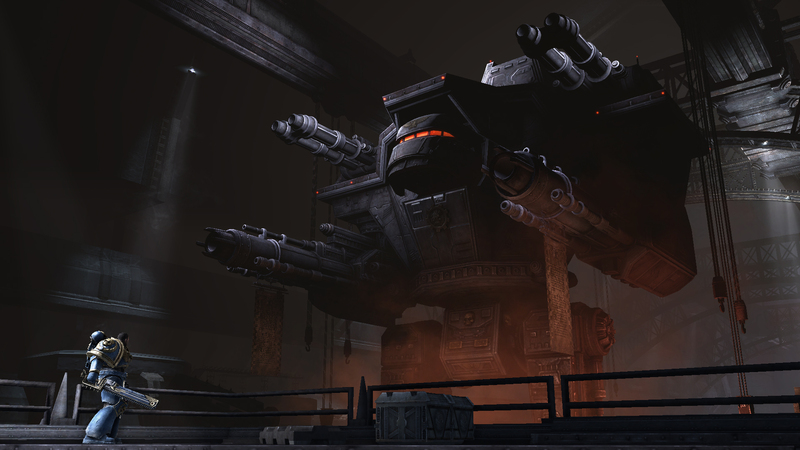 In order to accompany this play style, developer Relic focused on building encounters with large groups of enemies. Enemies charge right at you and your teammates, so crowd management and evasion are necessary skills to survive on higher difficulties. 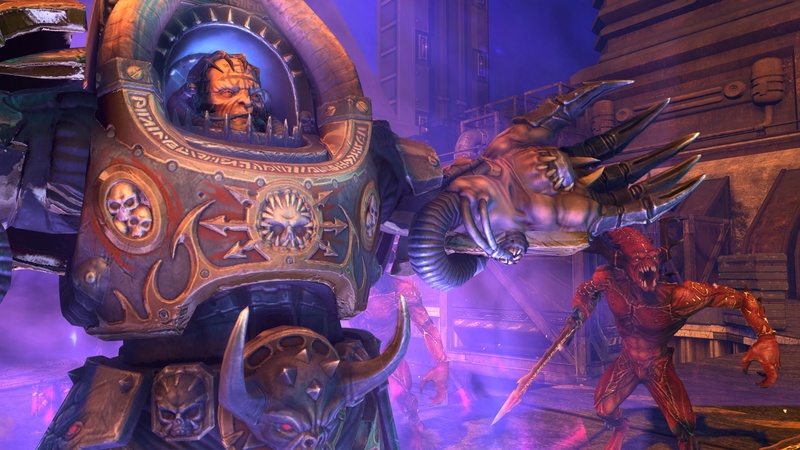 With a focus on melee combat, Space Marine has as much in common with Dynasty Warriors as it does with Gears. You slice through hordes of enemies, perform critical blows when prompted and knock down enemies surrounding you once your Rage meter fills up. Your marine moves quickly without sacrificing any of the long-range combat you expect. Grenades, weapon selection and zooming respond well and are mapped to the familiar places. Sniping is particularly fun, especially when combined with the Rage ability which triggers slow-mo with weapons. The two levels in the demo lacked the open-space of Dynasty Warriors and the set-pieces of Gears, putting the focus squarely on combat. I worry that transitioning from one arena of death to the next will become tiresome, over the course of the game. 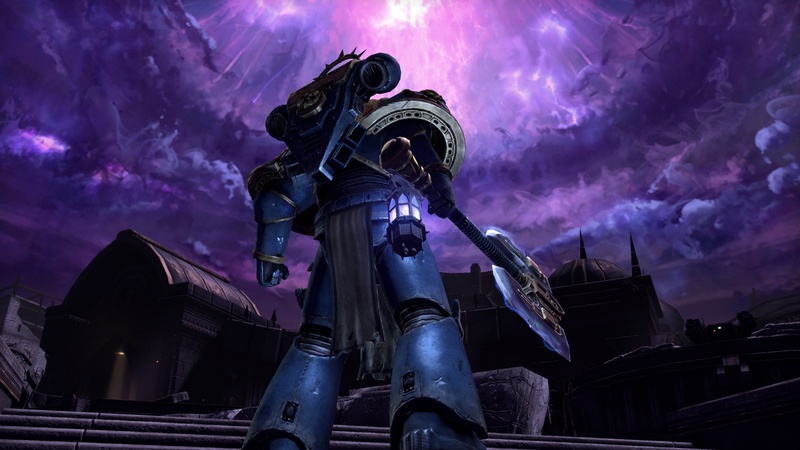 Space Marine is fun but without a bit more freedom or eye-candy, it doesn't seem like it's going to be a memorable one. Co-op mode is to be included. Considering that you are accompanied with a squad throughout the game, but Relic would not discuss if co-op will be present in the campaign. If you are looking for a faster-paced, melee-focused action game, Space Marine might be worth checking out when it hits stores September 6.